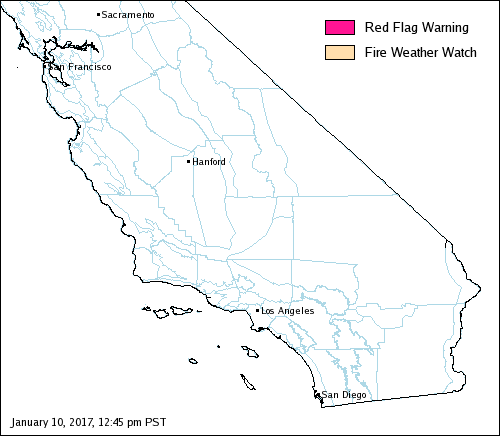 Calculation of the six standard components of the FWI System, performed once daily at noon PST, results in an estimate of fire potential for the current afternoon period. FWI severity ratings above 5 indicate an increasing difficulty of fire suppression. Click here for more info. Chandler Burn Index is based on the current temperature and humidity (click image for more info). 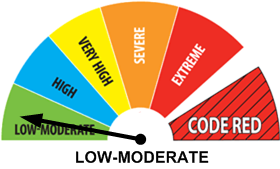 BURN INDEX RISK: LOW ... Fuels do not ignite readily from small firebrands although a more intense heat source, such as lightning, may start fires in duff or punky wood. Fires in open cured grasslands may burn freely a few hours after rain, but woods fires spread slowly by creeping or smoldering, and burn in irregular fingers. There is little danger of spotting. 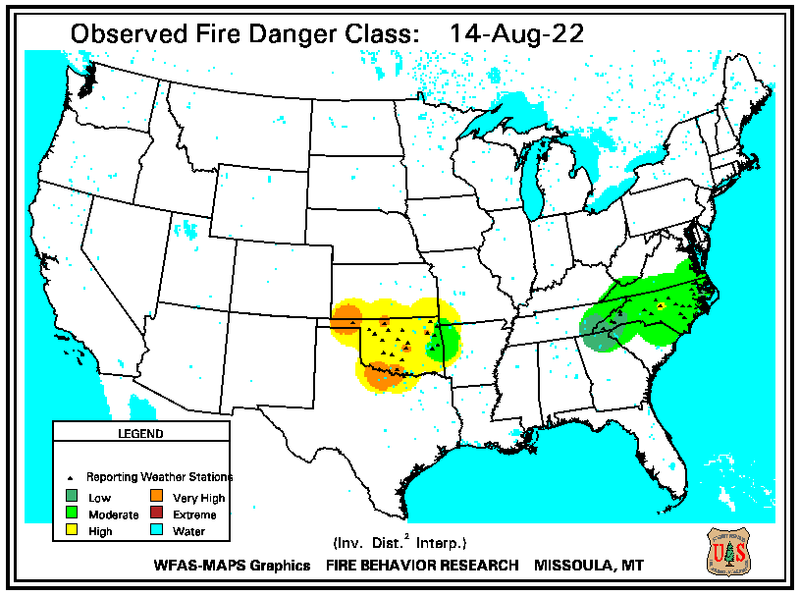 Image shows current CBI Fire Danger, Current Temp & Humidity & CBI numerical rating. Keetch-Byram Drought Index 375 Typical of late spring, early growing season. Lower litter and duff layers are drying and beginning to contribute to fire intensity.